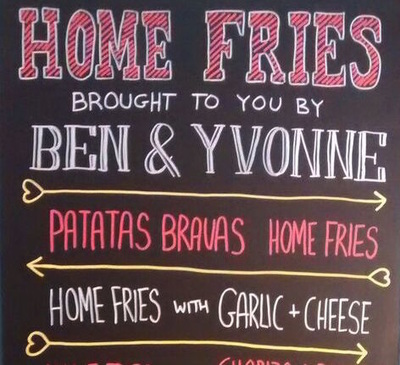 Home Fries the ever popular festival caterers are now available for your wedding, corporate event or big bash. Delight your guests with delicious food served out of our beautifully restored vintage Caravan. 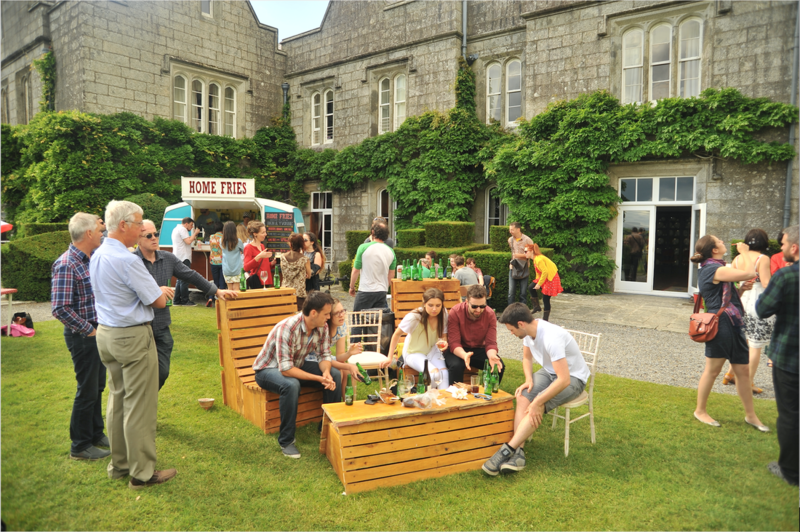 Awarded ‘Best Potato-Based Snack’ By The Irish Times at Electric Picnic! Home Fries brings you the finest, freshest baby potatoes available. Sautéed and seasoned in our huge paella pan, our fried potatoes are tastier and healthier than conventional chips and fries. 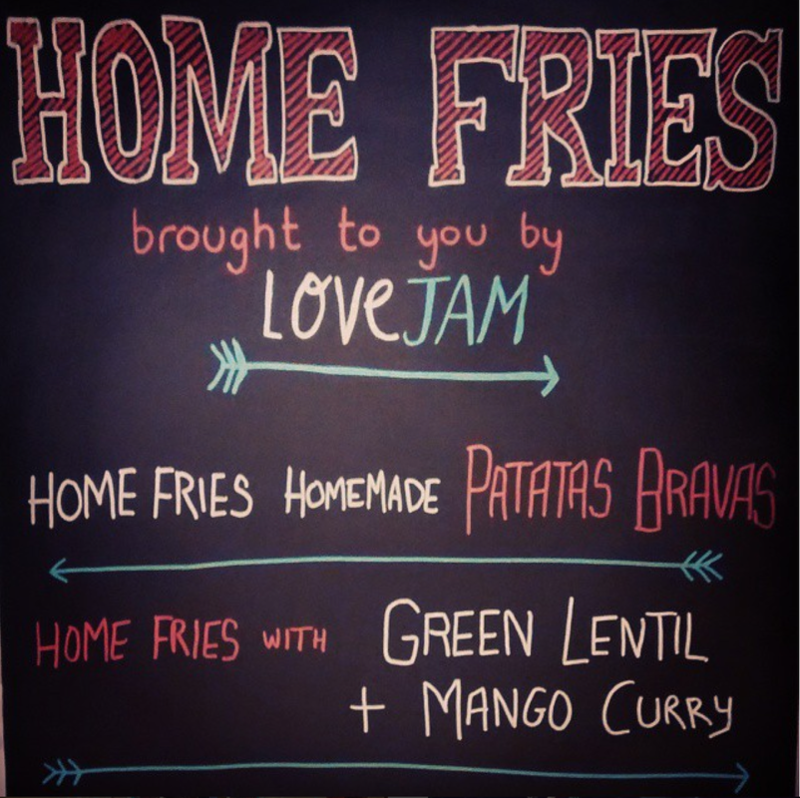 We complement our Home Fries with a versatile range of toppings and sauces. Ranging from tried and tested favourites such as homemade Patatas Bravas and Garlic & Cheese to Chorizo & Roast Red Pepper and Slow Roast BBQ Pulled Pork. We are proud to be able to cater to vegetarian, vegan and gluten free diets, while still maintaining the deliciously meaty options for all the carnivores. ​For our winter wedding afterparty, we wanted to have a midnight feast that would be warming as well as delicious. Ferdia and Sarah worked closely with us to design a simple menu that would suit the varied tastes of our 250 guests. 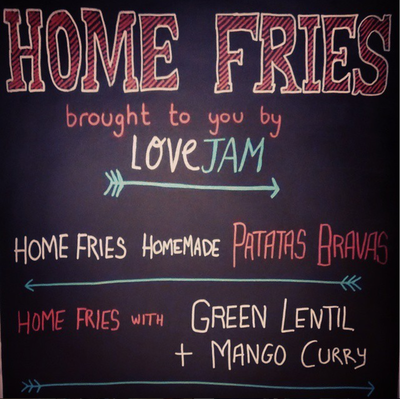 The Home Fries Patatas Bravas were a popular choice, as was the gentle spice of the Green Lentil Mango Curry Home Fries. The Home Fries van is a self-contained unit of vintage cuteness so it's a great addition to any wedding party. Home Fries did the food the day after our wedding. We couldn't have been happier, our guests loved it. 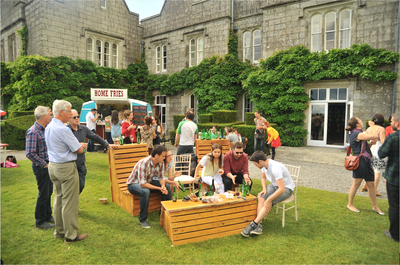 The weather was good so we could eat outside and the caravan created a really good festival vibe. 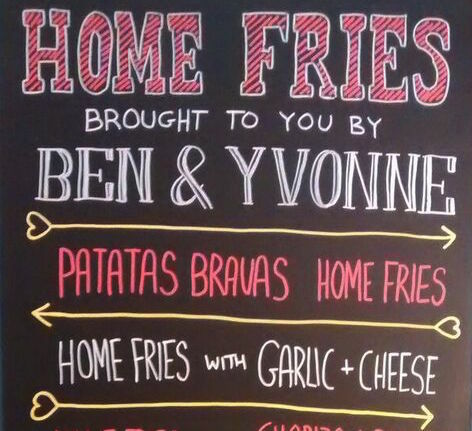 It was very reasonable in comparison to other quotes id gotted and the food was incredible and I would absolutely recommend home fries for your event!